WASHINGTON -- Former President Barack Obama says the Trump administration is joining "a small handful of nations that reject the future" by withdrawing from the Paris climate change pact. 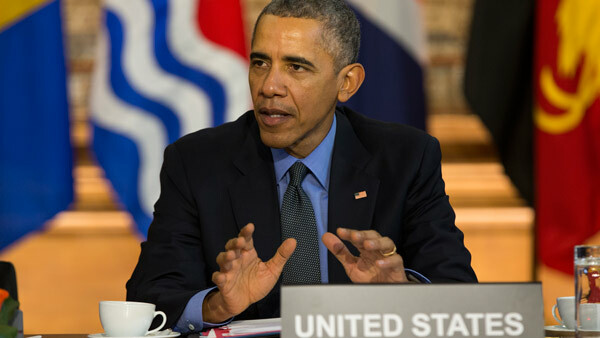 Obama is defending the deal that his administration painstakingly negotiated. He says the countries that stay in the Paris deal will "reap the benefits in "jobs and industries created." He says the U.S. should be "at the front of the pack." The former president says in a statement that Trump's decision reflects "the absence of American leadership." But Obama says he's confident nonetheless that U.S. cities, states and businesses will fill the void by taking the lead on protecting the climate. Obama says that businesses have chosen "a low-carbon future" and are already investing heavily in renewable sources like wind and solar.